Central bank likely to keep tabs on large wilful defaulters; policy likely by month-end. The Reserve Bank of India will likely find itself at the driver’s seat in the war against bad debt -- closely monitoring big-ticket restructuring and even getting to decide the haircut to be taken by banks. These and other changes could be introduced by the end of this month by the government, formulated after a series of meetings between the central bank and finance ministry officials. As banking regulator, RBI doesn’t, as a rule, get directly involved in individual accounts. It issues broad guidelines that apply to everyone. The new strategy was discussed in meetings between the finance ministry, RBI and Prime Minister’s Office. “The plan is in the works and will be finalised by the end of the month,” a source said. 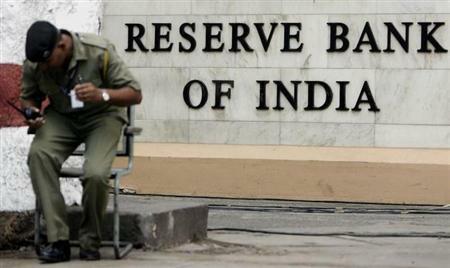 The strategy is likely to empower the RBI to monitor cases of large wilful defaulters, a source said. The central bank may also be allowed to decide on the losses banks must bear if a Joint Lenders’ Forum fails to decide on haircut. A JLF has to be compulsorily formed when the aggregate exposure of banks is over Rs 100 crore in a case. The strategy could include auctioning of assets by banks, one-time settlement, setting up more oversight panels, and reformulating the JLF mechanism to allow faster resolution of non-performing assets (NPAs). Criminal charges could be in the offing against large wilful defaulters, sources said. Currently, a restructuring package is approved only when at least 75 per cent of creditors by value and 60 per cent by number approve. This might get squeezed further, making it possible to go ahead if three or four banks with the highest exposure in a JLF agree on a restructuring package. If a JLF is still undecided on a haircut, RBI may step in with its own prescription. The government has also proposed multiplying the oversight committee (OC) that looks into the process of cases referred to it by banks. The RBI set up a three-member OC under the Scheme for Sustainable Structuring of Stressed Assets. The committee’s job is to ensure loan restructuring in a transparent manner. Every deal must be cleared by the panel before implementation. The issue was also discussed in the consultative committee meeting of the finance ministry. The plan could include auctioning of stressed assets in sectors such as steel and power to cash-rich public sector undertakings (PSUs). Sources said PSUs would not be forced to buy these assets but could if they found synergy with their operations. According to experts, auctioning of big-ticket stressed loans may not find ready buyers. Of course, the government can force public sector companies to pick up the tab. On their own, buyers would be wary of loans that even banks fail to recover. Of the Rs 6.8-lakh crore NPAs of public sector banks (PSBs) till December 2016, 70 per cent are of big corporate houses. “It is not that hundreds and thousands of businesses have created this problem. The problem of big NPAs is confined to essentially 30-50 companies. Those need to be resolved,” Finance Minister Arun Jaitley said recently. Bad loans of PSBs rose by about Rs 1 lakh crore during April-December, the bulk from the power, steel, roads and textile industries. The latest Economic Survey suggested the setting up of a bad bank in the form of a public sector asset rehabilitation agency. A reduction in interest rate is also among the options being considered, for a few sectors. However, a bad bank may not materialise soon, as the country runs a twin deficit. “A bad bank can work only with surplus money, either fiscal surplus or even a current account surplus. Otherwise, you are spending taxpayer money to bail out the private sector,” said an economist with a government institution, who did not wish to be named. How serious is India's NPA problem?